While the removal company carries out your relocation project, or upon completion of the job and as a way to reduce the stress from the move you can get your kids in the car and show them how much fun they can have in London. The list of attractions, museums and venues that you can spend some quality time with the kids in the capital is pretty long. That is why we have mentioned only a few of the most popular here. Think about how exciting it would be if you can expand that list together with your little ones by exploring the city on your own. The British Museum. Admission free and open every day, the largest museum in Britain and one of the three most popular in the world definitely has many stories to tell that will captivate the imagination of your kids and wake up the desire in them to learn new stuff. We can guarantee that a walk through the prized collection of Ancient Egyptian antiquities will become one of the most precious childhood memories you can give to your little ones. Being fascinated with dinosaurs is a sort of the rule for every kid. There is no better place to walk with the ancient lizards than the Natural History Museum on Cromwell Road. 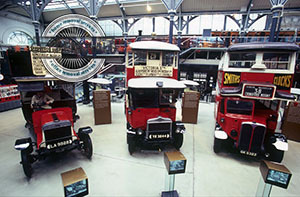 When talking about interactive expositions that will catch the attention of your kids, we cannot miss to mention the London Transport Museum, where you and the offspring can experience firsthand what it is like to drive a real tube train. It is one of the most popular museums with parents and kids alike, as it can easily be guessed by the constant child’s laughter that is to be heard at any hour in this wonderful museum located at the Covent Garden Piazza. It is general knowledge that kids love animals and nature. So why not spend a day at the London Zoo? The Zoo is located in Regent’s Park and is the oldest of its kind in the world. Today all animals live in an environment that imitates their natural habitat as closely as possible, thus enabling the visitors – especially if they are kids – to feel really connected to nature. The whole experience would be really exciting for your little ones. Kew Gardens are definitely among the most beautiful public gardens in the world. It is no wonder that they have been made a UNESCO World Heritage Site. You can see millions of flowers – a literal sea – at any season here. If you want your kids to get accustomed to cherish beauty and serenity, make sure to bring them at least four times a year here – once for every season. There is hardly a better gift that you can give them. The observation platform on the top of the London Shard offers a breathtaking view of the metropolis that is definitely worth the climb – do not hesitate to get there when the weather is good and you will not regret it.